The Sydney CBD Repair Centre gives you the practical, straight-forward guide on setting up your HTC Vive. 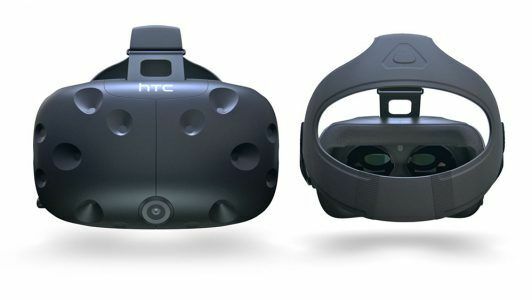 Visit Sydney CBD Repair Centre for an exclusive HTC Vive tryout. 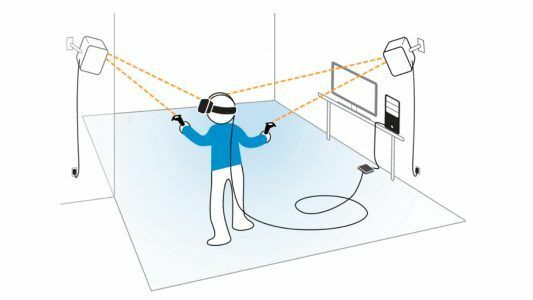 This is the practical HTC Vive Setup Guide, this is not meant to be a replacement for the manual that comes with the device but an overview of the most important parts of the process. 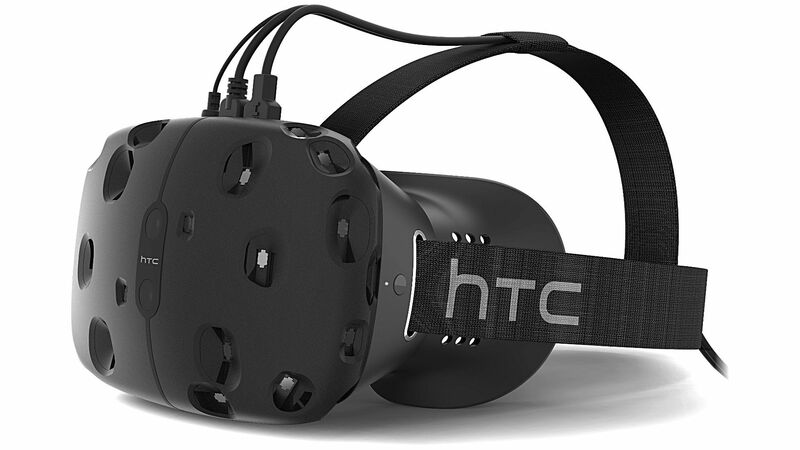 Have fun installing the best VR headset, the HTC Vive. Before using the HTC Vive, the first thing to take into consideration is the play area. This can be your living room, bedroom or just a spare room in your house. HTC Vive is strongly recommended to be used indoors but if you wish to use your device and PC outdoors, take the necessary precaution and protection. Regardless, the play area should be wide enough for you to move around. Not too cramped to limit the playable space. Not too wide to make the base station less effective and accurate in tracking your virtual headset and controller. The room will need at least 2m x 1.5m. The maximum distance supported between base stations is 5m. Your VR area should be clear of furniture and pets – look for two corners of the room (or high bookshelves) opposite each other that have a good view of this VR area. This is where you will set up your base stations. The base stations can be mounted permanently to a wall or a temporary tripod on top of book shelves. 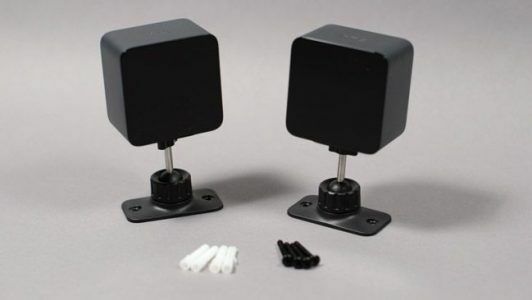 Make sure that these base stations have a direct line of sight wherever you are in the play area. Each base station will need to be plugged in using the power adapters included in the retail box. Use the link box to connect the HDMI, USB and power cable from the virtual headset to your PC. Follow the manual for more in-depth information. Make sure that the graphic drivers for your system is updated and properly installed. There is also a headphone jack from the headset where you can plug in earphones or headphones. 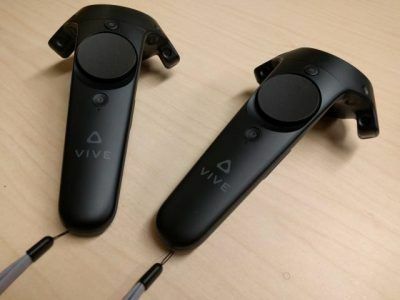 Since HTC and Valve partnered for the whole HTC Vive platform, the user would have to install Steam and have a Steam account. Once this is done. Connect the controller and headset to the hub, then connect the hub to the PC. Steam VR is the application interface that let’s you play VR games inside Steam, so you should install it first thing Steam is installed. The pair of controllers will be partly charged out of the box so it will turn on immediately and pair with the headset once turned on for the first time. If in case it won’t turn on, open Steam VR and pair the device via the Steam VR interface.